Can God-honoring music come out of Hollywood? If media and movie industry professionals Joel Weldon and Tom Mgrdichian have anything to say about it, yes. And soon. Tom Mgrdichian is a producer, songwriter and composer with a long history of pop music and movie credits, having worked with some of the biggest names in the business. Earth, Wind and Fire, Stevie Wonder, Dave Matthews, Olivia Newton-John, David Foster and countless others. His dozens of movie credits include Wild Hogs, Die Hard 2, a dozen or more Adam Sandler pictures and many more. But throughout his career, he's had a growing desire to express his Christian faith with his talent. Then in 2016, a casual conversation with his longtime friend, Joel Weldon, about writing some new music together sparked something special in both of them. As the dialog grew, the potential combination of their experience to do something fresh and new for the Christian community seemed completely natural, if not truly Holy Spirit inspired. Joel Weldon is a seasoned voice actor, represented by a talent agency in Beverly Hills. His voice is heard on ad campaigns and network narration all across the USA. But just a few years ago, he was one of the most sought-after independent Christian artists in the country. As a worship leader and songwriter, his creations have been sung in churches worldwide as well as theming campaigns with Franklin Graham and Greg Laurie, among others. So the path was set and Firma Collective was born by connecting LA and Hollywood pro's with the local worship communities all around Southern California. Powerful young worship leaders Lexi Jones and Matthew Scott were added to the roster for this first release. Mixed by the legendary Brian Reeves (U2, Billy Idol, Selena Gomez, etc. ), Firma Collective-Songs for Every Soul is an album of inspired new songs for believers worldwide. 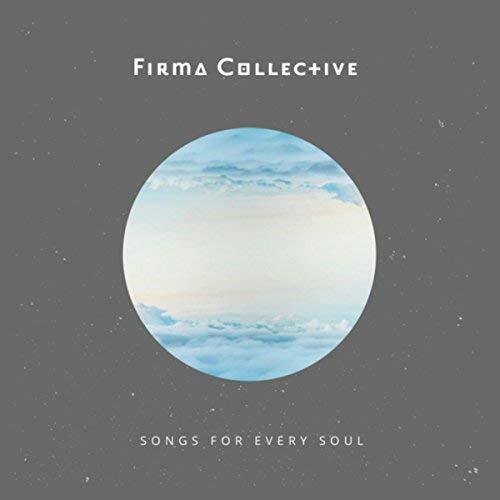 This is the first release from Firma Collective and there is a lot of information above about how and why the collective has been set up and the parent record label of Firma Music Group. Despite the talent behind the production and organisation it is the job of the two worship leaders on this release to bring this dream to life. The first track launches the recording out into the deep with captivating vocals from Lexi Jones as she gives a passionate and electrifying performance on "Mercy's Tree". Matthew Scott is the other worship leader taking the helm of various tracks on this album is given the second opportunity to inspire you on "Unchained". Matthew's voice has an interesting tone and if I were comparing it to someone else then Peter Furler is the one that springs to mind. It is the first song, "Mercy's Tree", that actually blows you away from the very start, leaving the rest of the release in it's wake. 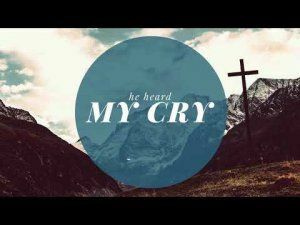 Lexi has an amazing voice that brings this new hymn to life in an amazing way. The words are worship through and through and absolutely captivating particularly with the vocal. All this is not to say that the rest of the recording isn't worth listening too, it most certainly is, but Matthew has a hard act to follow as he approaches "Unchained". Although it's not as instantly appealing as the first song it certainly has a lot going for it. Again there is a great depth to these lyrics and the electric guitar brings this praise song to life, Scott is backed by Jones adding an extra element to the track. "Faithful Lord" allows Lexi to bring a different style to her song although it has to be said that here she sounds a little bit nasal at times which I think is more about the style than actual ability. The slide guitar and electric feel percussion doesn't feel as strong as the first two songs and as a whole this song seems a little bit at odds with itself. I prefer the vocals on "Worthy Of All Praise" as Lexi continues as the main vocalist for another track. The song itself doesn't really venture anywhere new. So it's back to Matthew Scott to bring us a new version of the classic hymn "Be Thou My Vision" which seems to be a slow build, but never quite gets to the climax, but having said that this is easily the second favourite song on the release because it does a great job of showcasing the vocal, changing the tone and the additional section works well. Lexi is back for "Sovereign" which is a much softer track, and I love these songs that are just about worshipping God for who He is. The last track see's Lexi and Matthew share the vocals in "Overwhelmed" leading off with Matthew setting up the theme before Lexi comes to support as the song hits it's mid-point. The vocals work well together and this is a song that benefits from good writing and depth. In fact that can be said about most of the songs on this album they certainly are looking to do something that reaches a little deeper as the songs investigate the glory of what God has done for us and who He is. These are "Songs For Every Soul" but there is a lot going on here stylistically, probably a little too much on some of the tracks. However there are a few tracks that really shine through with quality, sadly some of the others that have potential have been slightly over-produced which is a shame and slightly surprising given the people behind this project. Hopefully though this is the start of something new, and if nothing else then I look forward to hearing more from these two young worship leaders on future projects.